I didn't know anything about the real life of Casanova going into this novel, apart from knowing he was a ladies' man in Europe a couple of hundred years ago. Out of money and unable to return home to his beloved Venice, Casanova and his valet Petrine (great character) seek refuge with Casanova's brother. Always on the lookout for a patron, out of money and a social climber, Casanova takes off on an adventure in an effort to solve a riddle and seek a treasure worth more than money; which is where the novel really takes off. The Secrets of Casanova is a fictional account of Casanova's life, and while it takes some liberties with the facts, many of the events and people Casanova met and interacted with (including Voltaire and Pope Clement XIII), actually took place. Michaels includes many words and events that piqued my interest along the way, and I was frequently leaving the tale to learn more, the events just too interesting to ignore. One such event was the Lisbon earthquake, which I learned was a real event that took place in 1755 and killed anywhere between 10,000-100,000 people. Unforgettable and bursting with imagery! I recommend The Secrets of Casanova for lovers of historical fiction, and those wishing to embark on a refreshing and exciting adventure story. (You can read a free excerpt here). Greg, thanks so much for stopping by at Carpe Librum as part of your tour with HF Virtual Book Tours. Can I ask, when did your personal interest in Casanova begin? Thanks for having me, Tracey. My interest in Casanova began a few years ago when a biography by John Masters popped into my hands. A bright turquoise cover is hard to ignore. (LAUGHS). After reading the first few pages, I was mesmerized. Many people, after finishing my novel, The Secrets of Casanova, have told me they didn’t know Casanova was a real human being; I was ignorant of that fact until the John Masters’ book enlightened me. And once it did, there was no going back. This Casanova guy—well, he lived one extraordinary exploit after another. 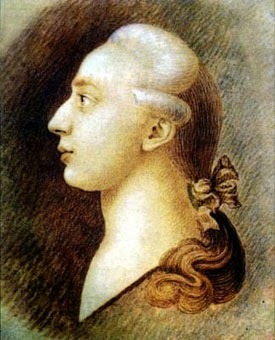 According to Wikipedia, Giacomo Casanova (1725 – 1798) was: “by vocation and avocation, a lawyer, clergyman, military officer, violinist, con man, pimp, gourmand, dancer, businessman, diplomat, spy, politician, medic, mathematician, social philosopher, cabalist, playwright, and writer.” It almost sounds too outlandish to be true. What research did you undertake to find out more about this intriguing man? Wikipedia actually omitted a few other hats that Casanova wore: duelist, entrepreneur, adventurer—to name just three. Oh, and let’s not forget lover! One might say that was a preoccupation of his. Your use of “outlandish” is certainly appropriate. Casanova’s life was so often over the top, that people thought his autobiography - published long after his death - was mostly lies and hyperbole. Then, slowly, nineteenth-century scholars began to unearth police records, personal letters, memoirs, etc. ; they came to the conclusion that 95% of what Casanova recorded was true! For my research I read Casanova’s twelve-volume autobiography several times. Whew! I delved into diverse sources about Casanova: from Erica Jong, Arthur Symons, J. Rives Child, to Ezra Pound. Beyond that, I digested a few dozen books on gambling, ships, carriages, Voltaire, Christianity, Gnosticism, architecture, 18th century Europe, Freemasonry, Horace, swordplay, Jerusalem, Venice, outerwear and underwear. Heck, like many historical fiction authors, I loved the research. Beguiling. It was sitting down to write that scared the pantaloons off me. (LAUGHS.) Your research of the clothing really came through for me, I wished there were sketches so I could see exactly what they were all wearing at different times. At the end of The Secrets of Casanova, you tell your readers that your fiction is ‘made up of exaggeration and fabrication” and not to: “take any of this book as factual; it is fiction.” Not knowing much at all about Giacomo Casanova going in, I was surprised to find later that many of the people he met in your novel and many of the events actually took place. How did you decide what to include and what to leave out or fabricate? I won’t talk too much about the book—don’t want spoilers, you know—but now and again certain characters, historical dates, geographical places—were modified to serve my story. Although there’s a basis in fact for most of the events and people in The Secrets of Casanova, by book’s end it seemed to me that a fair number of details had been altered. At the same time, however, I felt I’d captured some of Casanova’s complex personality and I wanted people to see the flesh-and-blood dissolute genius, not just the legendary womanizer with whom we may be familiar. My editor, Cynthia White, understood my dilemma and so, after much gnashing of teeth, we decided the best solution was the simplest: we added the “everything is fiction” disclaimer while gently pointing out some of the historical origins of the novel, as well as suggesting that folks read Casanova’s autobiography to learn how this paradoxical man lived the adventure called Life. In your personal opinion, do you think Casanova was a womanizer or a romantic? I define a romantic as “someone in love with love.” Knowing that we could build a case for either label, I would choose to describe Casanova as a romantic. I believe this statement of his—and here’s a reason why: Casanova was a hedonist, living his life to satisfy his senses. He was a creature of feelings. What better feeling than to regularly convince yourself that you’re infatuated or in love with a woman you desire? Jacques Casanova, the hedonist, consistently did that. Is that being in love with love? I think so. And that makes him a romantic. And that’s how I portray him in my book. I was very grateful to be reading the e-book version of The Secrets of Casanova, because I used the dictionary function many times to check the meaning of words like: venery, primogeniture, fauteuil, peruke, argent, madrigal, sedulous, poetaster and riposted to name a few. Have you an impressive vocabulary or did you come across these gems in your research? Impressive vocabulary. (LAUGHS.) NOT! (LAUGHS AGAIN.) But seriously, words are an actor’s tool; I learned to relish words acting in Shakespeare’s plays. That’s carried over to writing and often when I discover “exciting words” during research, I keep them. And since you asked…it felt important to add a “sophistication” element to the book. In Casanova’s time, people were more into language than in our culture; as an author I wanted to capture the times as best I could. The $10 words helped. Lastly, a touch of authenticity was inserted in the book by using words and phrases in Latin, French, Spanish, and Italian. I presumed that in the eighteenth-century, Europeans would have heard a multitude of languages. All of these writing choices, I felt, could help immerse the reader in a different time and place. And isn’t that one of the reasons people read historical fiction? Do I use these $10 words in my everyday conversation? No. But I’m happy to raise the literary bar for myself and for the readers of The Secrets of Casanova. Hope my language choices don’t come across as pompous. (Don't worry, they didn't). I read that you have a Degree in Anthropology and have done some serious acting, including one of my favourite TV shows of all time, The X-Files. How has this life experience helped you write about Casanova? But as for life experience, well, my three loves - anthropology, acting, and writing - are all about observing and studying people in one way or another. (Coincidentally, my name “Gregory” means “observant” in Latin). Observing people, and then building truthful characters from those observations, whether in a book or onstage - well, the creative processes are similar - so my background in acting informed my writing, I’m sure. Besides that, it’s pretty significant that as a theatre actor I’ve had the privilege to interpret great playwrights onstage; I’m thrilled to have “rubbed shoulders” with colossal writing talents like Shakespeare, Pinter, Rostand, and Chekov. Now if you’re a younger author and don’t have a lot of life experience, you’re still in luck. A fertile imagination can work as a substitute. I’ve also got to ask, what was it like to be on the set of The X-Files? Tried to assassinate Agent Scully. (That’s a fun way to start your acting day!) Instead, I missed Scully with my gunshot, got my leg blasted, and ended up killing Agent Pender. Gosh, as a professional actor I felt bad: the young guy playing Pender had a recurring role on X-Files - and I was the one that ended his paychecks. I recall David Duchovny rehearsing his “acceptance speech” to me - and asking my honest opinion. He was to attend the Screen Actor Guild Awards ceremony the coming weekend. In retrospect, I may have offered too pointed a critique, but the good news is that it added fire to our adversarial [onscreen] relationship - trying to kill each other on a passenger-laden 747 that is in crash mode. One other memory…I’d done quite a few TV shows before X-Files but I was stunned to see how much money the producers had for their production. For example, the Art Director rented a “prop” plane: a whole 747 fuselage that was outfitted with a hydraulic system that rocked, rolled, and swivelled that plane - to look as if it were going into a tailspin. To intensify the dramatic [onscreen] action, the passengers, the extras - were directed to scream bloody-murder. Before every scene, before every take with David Duchovny, my blood curdled. But what great fun for an actor! Especially when, at the finale, I get sucked out of the plane by a UFO. After that, I avoided UFO’s for some time. Sensible idea and wow, what an experience. There’s a part of me that’s a dedicated “nester.” I can be pretty darned domestic. To that end, my wife and I enjoy throwing small dinner parties at home. Surrounded by antique bookcases, clocks, and a striking mantelpiece, we often feel that we’re in the middle of a safe and familiar forest. When, at the dinner party, the wine and the conversation are flowing, the fireplace is crackling, and the laughter is genuine, there’s a conviviality that I truly treasure. These moments with my wife, sons, and friends are my happiest…and make me darned grateful. Can you share some of your favourite books and authors? There are so many that I’ll voluntarily confine myself to historical fiction. 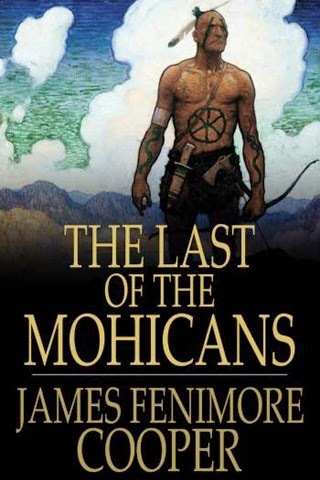 The Last of the Mohicans is one of my favs. I read it as a boy and then as a man. When you’re aware of the actual history on which it’s based, it gives you the shudders. Talking contemporary authors, Robin Maxwell is one of my favorites. Her writing is personable, bright, easy-going, informed. A real pleasure to read. Especially like her Mademoiselle Boleyn. Then there’s Hilary Mantel’s Bring Up The Bodies. Wow! The Jack Kerouac of historical fiction, if you ask me. Powerful work. I also enjoy Michelle Moran’s work, especially Madame Tussaud. She took on great challenges in that book and tackled them with gusto. I noticed in your Acknowledgements section that Robin Maxwell (one of my favourite authors) played a significant part in encouraging and inspiring you to write Casanova. How did this come about, and do you have any other literary influences? I discovered Robin Maxwell’s The Secret Diary of Anne Boleyn in the 90’s; since then I’ve read five or six of Robin’s books. Exhilarating prose. Flowing sentences that take you on a ride. And fine, fine storytelling. Robin and her husband Max became mentors who offered inspiration, discipline, a business sense, and encouragement at every stage of the writing process. Robin has taught me about the profession of writing from a number of perspectives. Two other terrific writers, whose books I admire and enjoy, were gracious with their time and critiques: C.W. Gortner and Gillian Bagwell. Can’t thank them enough. I have an outline for the next Casanova book, there’s just no telling when I’ll finish the manuscript. I’m a slow-poke, what can I say? I like to savor writing as much as I savor reading. 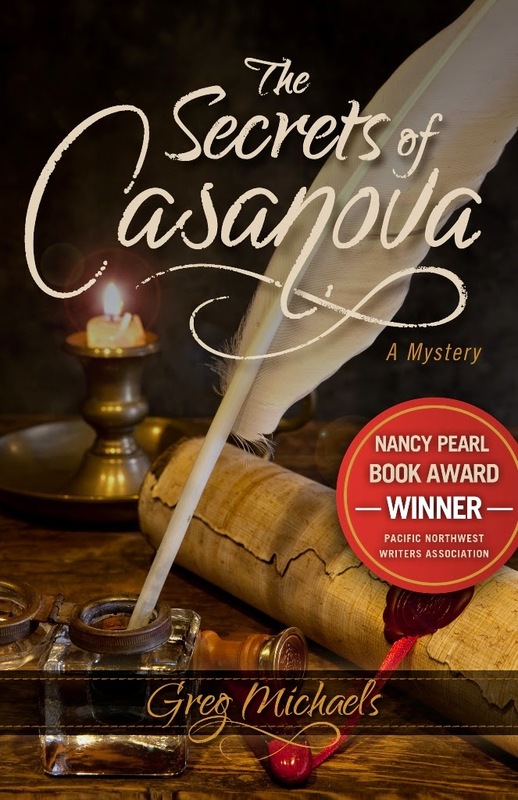 I’m very glad that The Secrets of Casanova won the Nancy Pearl Award for Fiction. The judges were librarians and, personally-speaking, I look at librarians and authors as “keepers of the language.” So, to me, it was a true honor that librarians chose my book for their award. Oh yes, one final, final thing. 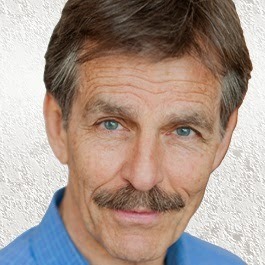 My publicist threatens to spank me if readers don’t flock to the website: Greg-Michaels.com. Please don’t let this grown man get a spanking! Well, we can't have that can we? Please visit Greg's website for more information, and thank you so much for your time today Greg. #faction is a very apt description Deb, and Heath Ledger is an interesting casting choice, as it doesn't seem that Casanova was terribly good looking.